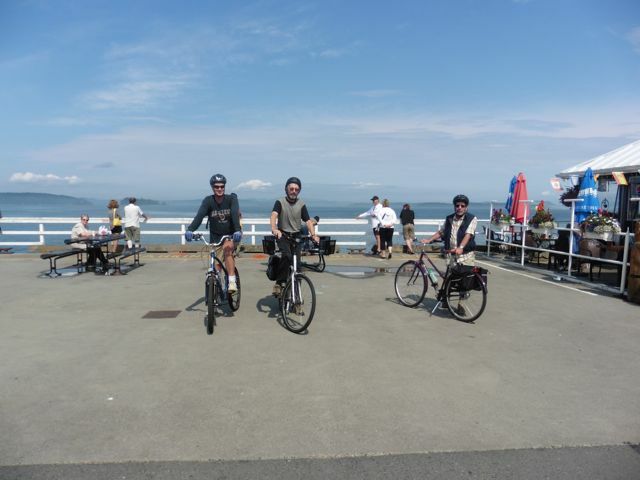 We joined Pender Islanders John and Andy on their bike-to-Sidney (Vancouver Island) routine on this lovely August day. 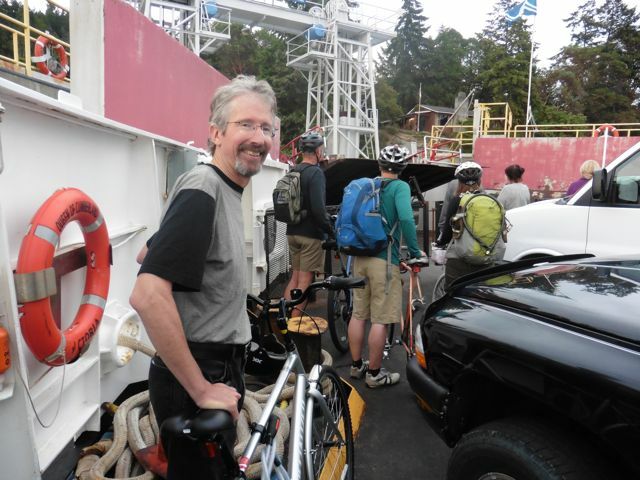 The cost of taking a bike on a BC Ferry is a fraction of the cost of taking a vehicle, and with the BC Experience Card there’s no extra charge for your bike. J&A are fully equipped with panniers to carry any groceries or other purchases, although we just took our rucksacks and our appetites for lunch. 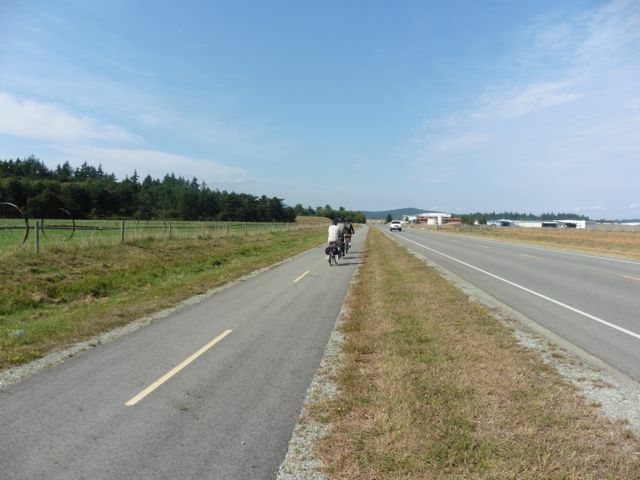 The new bike trail that circumnavigates Victoria Airport is a welcome addition, providing a very satisfying loop that extends the ride to the ocean on both sides of the Saanich Peninsula. On Thursday afternoons in summer, the Sidney Street Fair that closes Beacon Ave from 5:00pm is a fun way to end your discoveries before heading back to catch the ferry. We took the 1155am from Pender Isl to Swartz Bay near Sidney, and the 6:45pm return. 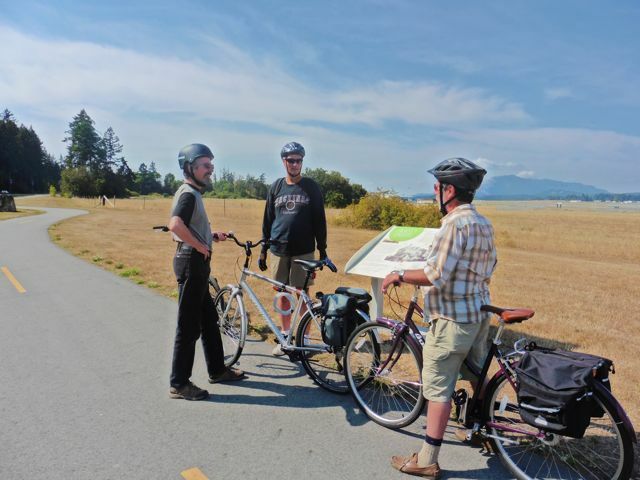 For logistics check the Bicycling chapter in the Pender Islands Handbook (2nd Ed). 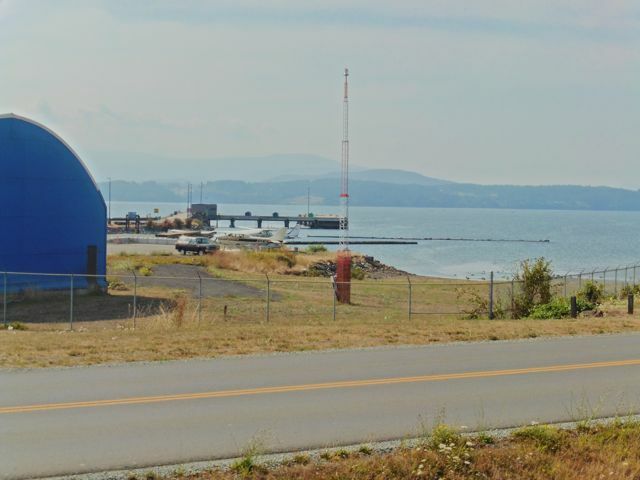 To connect to the new airport loop trail, just cross Hwy 17 at Beacon and find the trail to the left, or cross the pedestrian bridge further to the south along the Lochside Trail, and ride through the neighbourhood to connect to the trail. 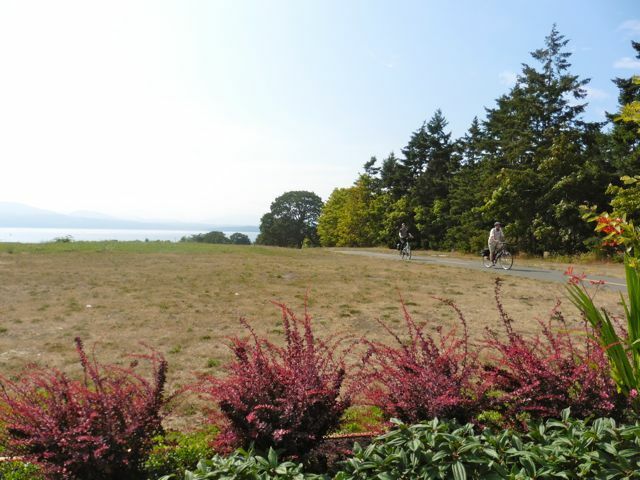 Best of all, compared to the Gulf Islands, cycling on these routes is mostly flat on either bike trails or lanes, with only a couple of very manageable hills. We rode about 24 km (15 miles). 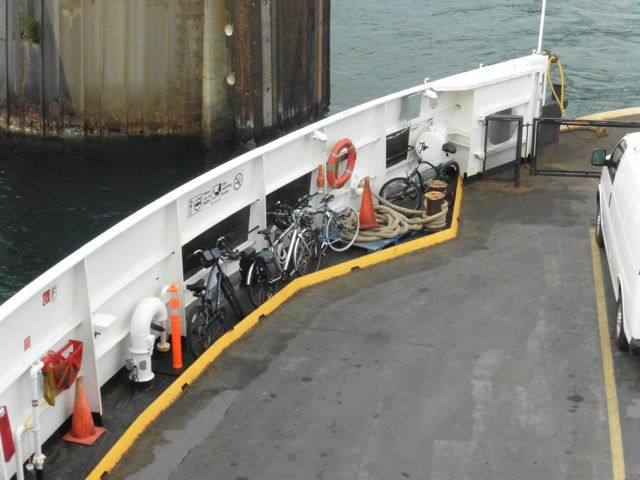 Bikes are stored informally on the ferry. John leaving the ferry ahead of the vehicles. 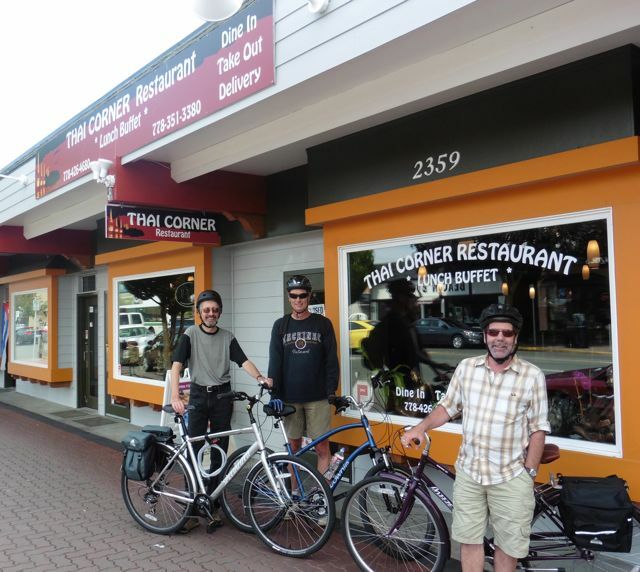 The new Thai Corner on Beacon in Sidney featuring a Thai lunch buffet was excellent! An interpretive sign along the new trail around Victoria Airport. Reaching Brentwood Bay on west side of trail. 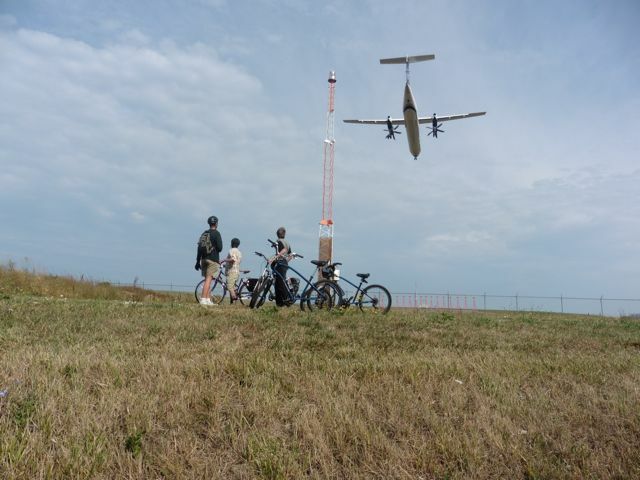 Watching planes land from west side of trail. Heading back on the pretty north side of trail. 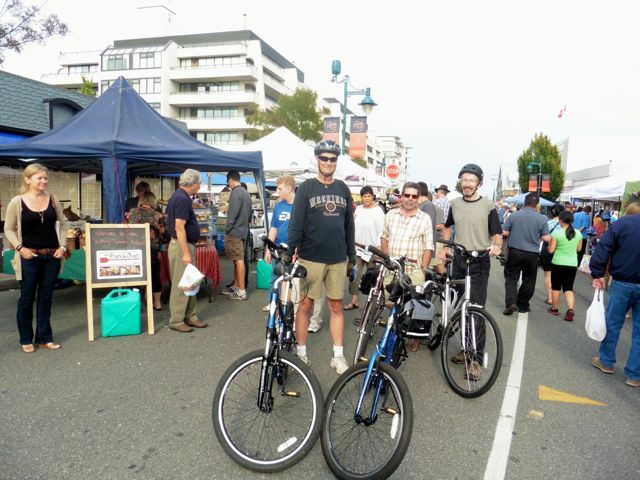 Walking bikes through the huge Sidney street fair. 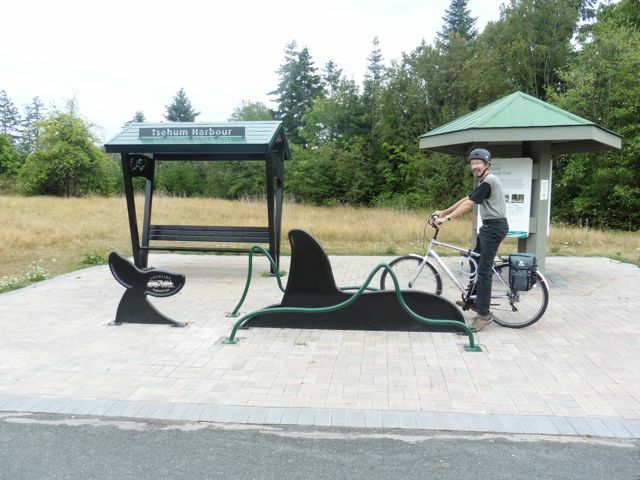 Orca bike rack along Lochside Trail. 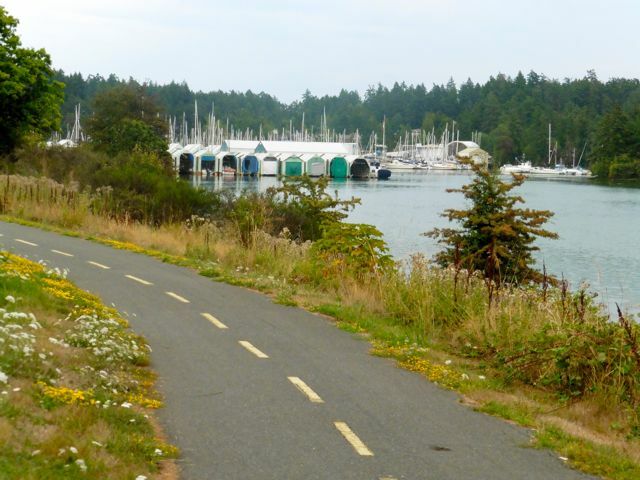 Lochside Trail near Cedar Grove Marina returning to Swartz Bay.